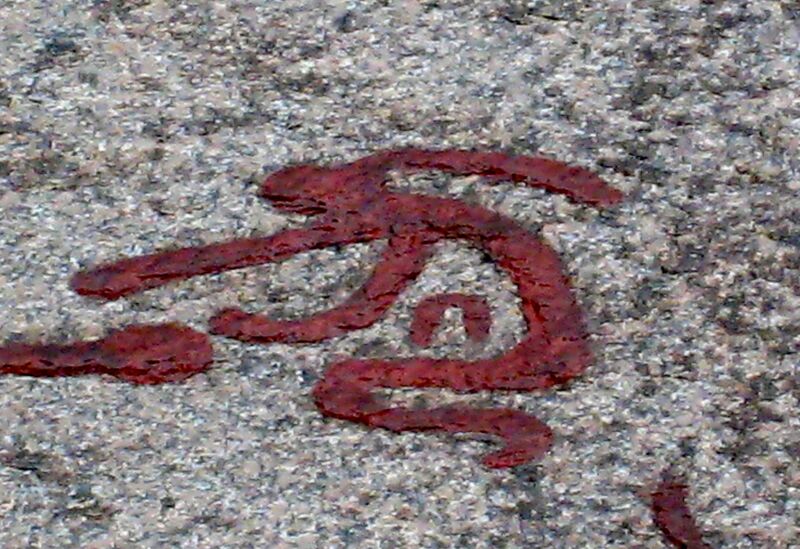 Bronze age petroglyph of weeping woman – Tanum, Sweden. A friend who had a mastectomy a few years ago due to breast cancer told me a story: she had visited another friend’s mother, who’d had the same operation and then reconstructive surgery. They sat together on the bed and talked about it , and then, my friend said, “We took off our bras and showed each other our scars.” I thought at the time, how good women are at this – showing each other our wounds, sharing our pain openly with one another. This is not a small thing in a society like ours that values the outward gloss of perfection, and consequently brands illness, sadness or loss as somehow shameful. Maybe it’s because women are more intimately concerned with the body throughout our lives – with our hormonal cycles, pregnancy and childbirth etc – that we find it easier to connect with the things that go wrong, both physically and psychically. Or maybe we don’t feel we have so much to protect, which makes exposing our weaknesses easier . My husband Michael once overheard me talking on the phone to someone I didn’t know, and telling her about a miscarriage I had had the year before. He commented that I must have been talking to a woman, as men simply didn’t share that kind of personal story, often even with friends, let alone with a total stranger. I’m not a man, so I don’t know the truth of this, but it does seem that men – certainly of my generation – more often relate to each other through competitive humour or fact-sharing, rather than personal revelation. When I’ve published articles about feelings in the newspaper, I get a range of responses in the comments section: the majority saying that they are grateful that I brought up the subject and was able to speak so honestly about it, or that I have resonated with something they also feel or have experienced. But there’s also a proportion of comments (from both men and women) along the lines of “Stop moaning and get a life.” or even reacting with real anger that I have taken up space in ‘their’ newspaper with my personal expression. In writing these articles, and my book, I have showed my wounds publicly, and for some people this is clearly both threatening and shameful. (Of course, they’re not obliged to read what I write, nor to do anything about it!) But I actually think being able to display vulnerability is a strength and I wish we felt freer to do it more, both men and women. Perhaps then we’d realise that to suffer is human, and feel able to show more compassion in our lives. Tags: cancer, compassion, feelings, wounds | Permalink.